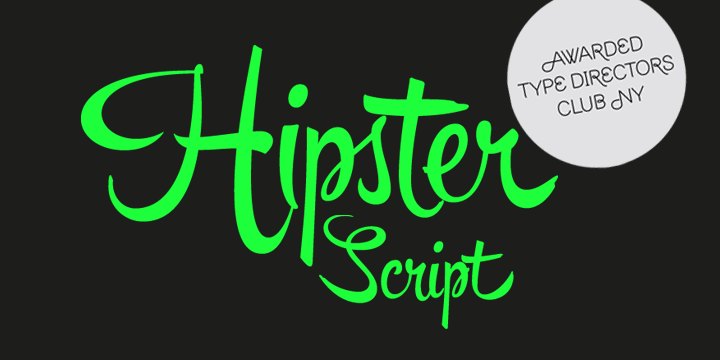 Hipster Script Pro is a handwritten font created by Alejandro Paul and published by Sudtipos that are trying to reduce the differences between manual and digital. With an articulated brush lettering, Hipster Script Pro font received many awards like the judge’s choice Certificate of Excellence at Type Directors of New York. A font description published on Thursday, September 13th, 2012 in Fonts, Sudtipos by Alexandra that has 16,825 views.